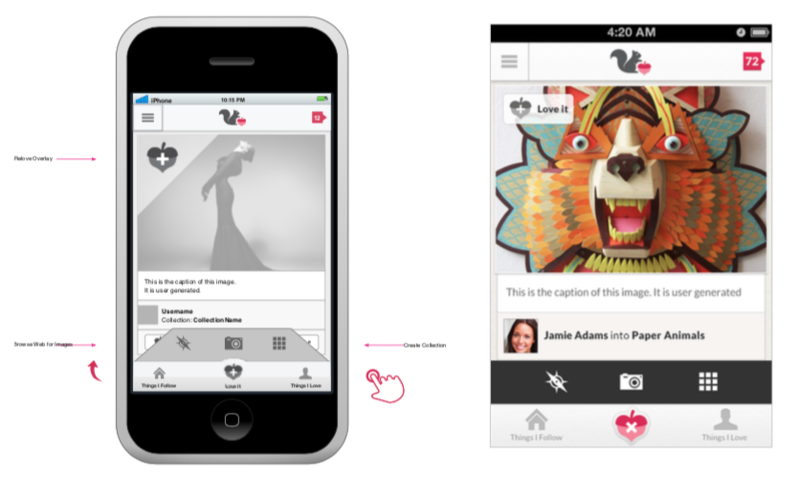 The LoveIt mobile platform capitalized on the pre-existing web framework for the social network but employed specific interactions and design concepts unique to the mobile framework to allow for increased engagement, easier user-generated content population and faster browsing. 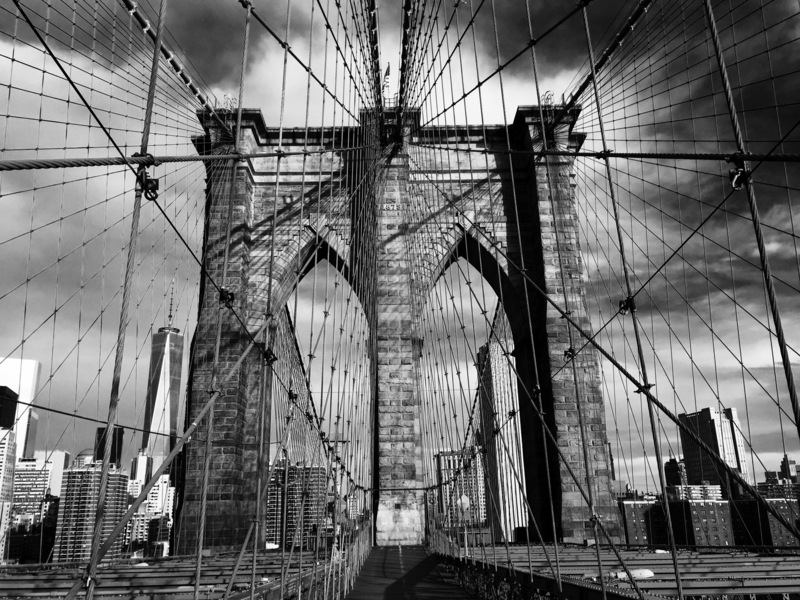 The most important interaction in a social app is conversion through onboarding. As such we needed to be able to run user tests, funnel users into experiments, and make quick changes without submitting the app to be approved each time. I developed a single- page scrolling flow as a browser-based experience, easily modified on the server-side. The key interaction of the LoveIt app was the LoveIt button, which activated an action menu of options to add content from a browser, a camera, or the native photo album. 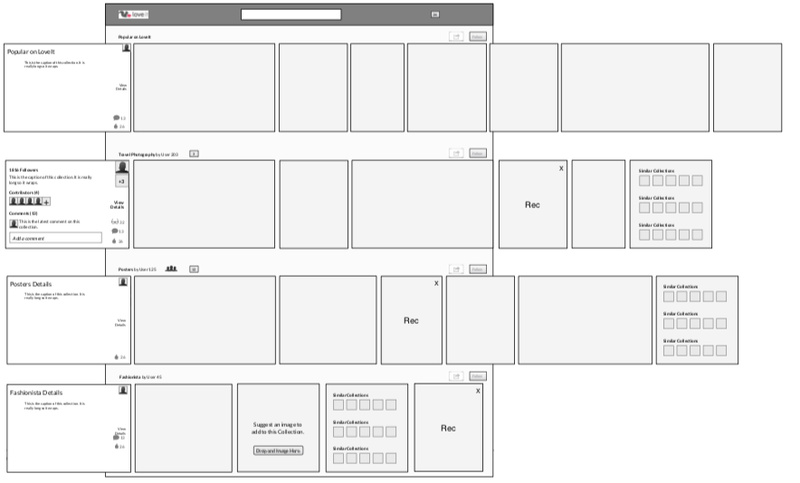 To activate the menu, a microinteraction was developed to fold the menu up from the main menu when activated to give the app some added depth, seen here in wireframe and final visual design. The LoveIt Android app predated Material Design’s cohesive language on Google’s apps and as such needed to adhere to multiple device and OS types. 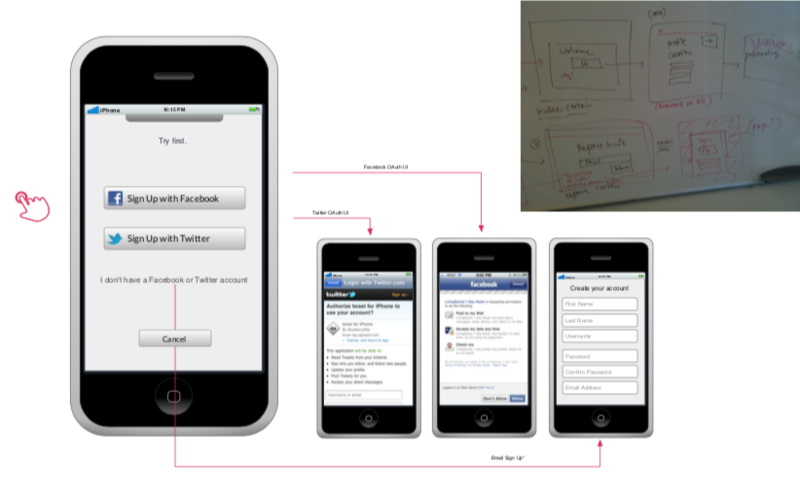 It took on specific design elements, such as button shapes and modified navigation to account for the back button, but was more or less a straight iOS port to Android. This decision was also done for time and budget reasons. A more comprehensive Android strategy was preferred but abandoned. I observed that on a full size iPad, while comfortable to scroll up and down in portrait mode, it was more natural to scroll left to right in landscape mode. As such, the algorithm had to be recalculated and rewritten to accommodate this improved experience – which lead to a breakthrough in the overall application. 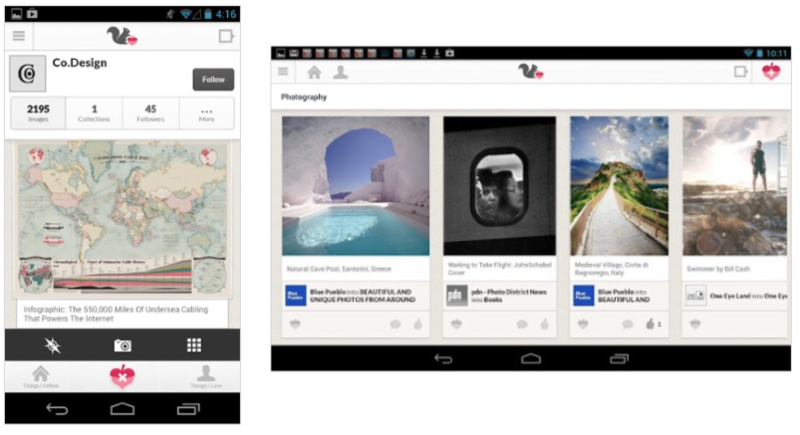 LoveIt was challenged by its striking resemblance to the Pinterest UI. The horizontal scrolling on the iPad lead to a new design concept for the entire platform that relied on horizontal-based collections as opposed to the standard image waterfall. This new concept uses the same content but opens up bold new usage possibilities.